Monarchs poured into Texas in substantial numbers during the past week. The migration's leading edge is now 950 miles from Mexico's overwintering sites. Western Population: Where are they now? In a dozen days, the migration crossed the state of Texas and reached the Oklahoma border. The butterflies made a particularly dramatic appearance on March 13th following two days of strong and steady south winds. 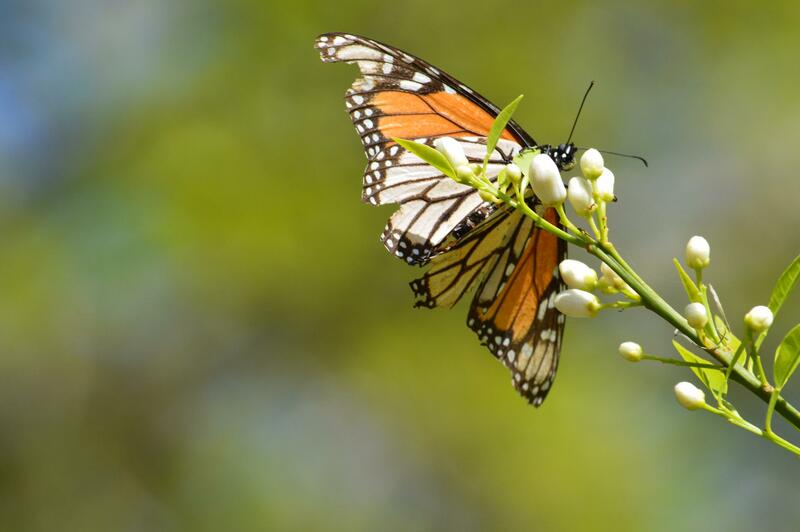 Of the 74 observers who reported first-of-year monarchs in Texas, 40% were sighted on that single day, March 13. The number of individual butterflies people saw was remarkable for springtime. Typically first sightings are of single butterflies. This week people were reporting multiple monarchs, including this count of 24. A Few More Monarchs to Come! Gail Morris of the Southwest Monarch Study reports on monarch population movements in the west.